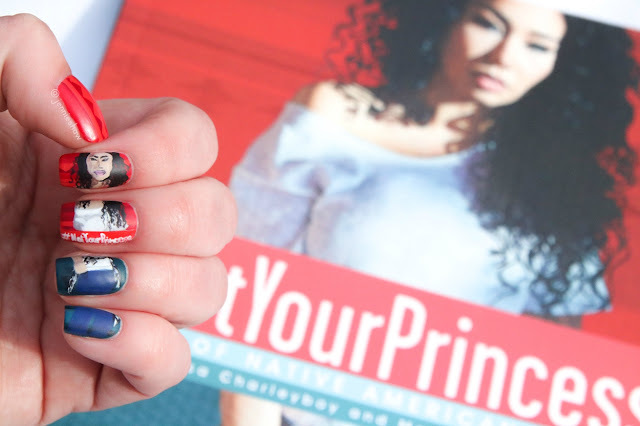 I don’t think I’ve ever reviewed an anthology before, but when Annick Press reached out to tell me about #NotYourPrincess: Voices of Native American Women, I knew I had to read it. A collection of over fifty Indigenous artists are featured and their poetry, prose, artwork, and interviews show what it’s like to be an Indigenous woman in today’s society. And OMG is it ever an astounding compellation of work. There’s a really fresh and vibrant tone to #NotYourPrincess, and not just because of the full-colour pages. Unapologetic truth is front and centre in the artists’ creations. When I first began reading, I mistakenly assumed that I’d finish the book in one sitting, but I couldn’t. The vulnerability affected me in a profound way and I needed time to reflect. This isn’t hyperbole, either. It’s exactly what happened. Cover photography by Tenille Campbell of Sweetmoon Photography. 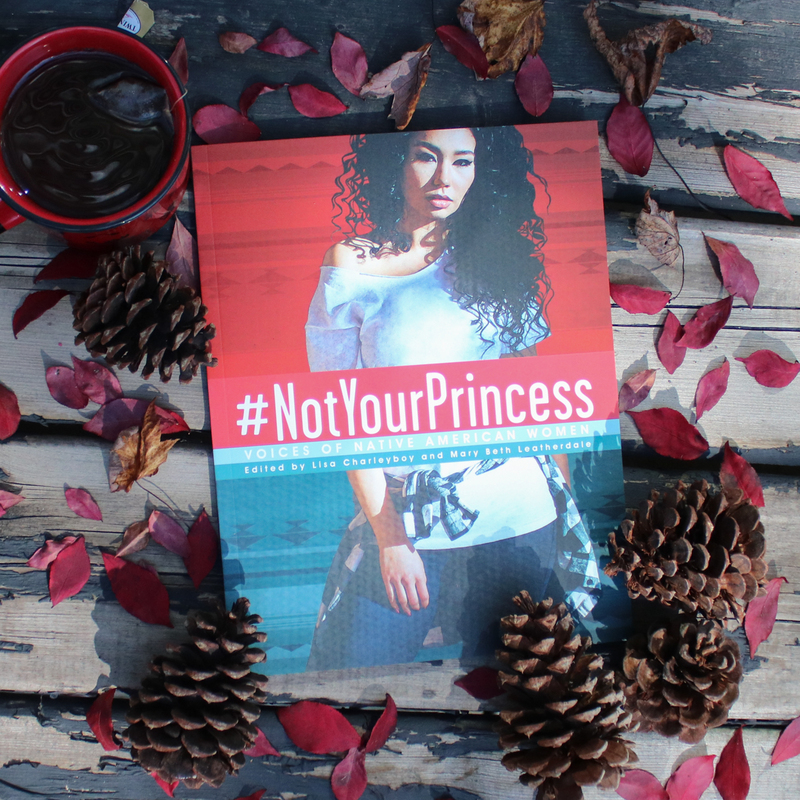 The overall message of #NotYourPrincess is diversity; that Indigenous women are far more than the negative "stereotypes" we're all aware of. Some of my favourite pieces included “Real NDNZ,” which recreated classic Hollywood portraits of movie stars. Hellllllo Shayna Jackson (Dakota/Cree) channeling Audrey Hepburn! The spectrum of female professional careers displayed was also awesome. Because of course Native American women are doctors, lawyers, and athletes, and it's so important for teens to see these strong messages because we all know they aren't the usual fare. It really is time to ditch those harmful and pervasive images that flood mainstream media—heck, it’s actually long overdue—and #NotYourPrincess delivers them in an accessible way. The collection certainly includes and respects the pain that Indigenous women have felt (and continue to feel), and I love that it ends with a hopeful, empowering note. That brings me to a piece of tangible change that non-Indigenous women (and men) can do right now. Halloween is around the corner, which means that costume choices are a hot topic of discussion. In Jessica Deer's piece (Mohawk), she discusses the harmful impact of “highly inaccurate and dehumanizing representations of Indigenous peoples in sports, on television, on the runway, or in costumes on the shelves of a Halloween store" because those representations "shape much of what people know and think about us.” This is a statement that needs to be repeated and heard, because those depictions are everywhere, which means it's obvious that we aren't actually listening. Or we are listening and still choose the wrong choice because we don’t think it’s a big deal. Come on, people. Can we please do better? Cultural appropriation in the form of a "Pocahottie" costume is ignorant and damaging. There are about a million other options out there so please choose one of those. This tired BS needs to stop. You want to wear a crown of feathers? Perfect, be a parrot. Don't wear something that will cause harm to another. Also, I'd like to add that this applies to every day. It's literally the least you can do. Decontsructing systemic racism is challenging, frustrating, and will likely take a long time to achieve. But not wearing an offensive costume? That can happen this very second and it's a first step in helping shift the narrative. Change from the ground up, starting now. 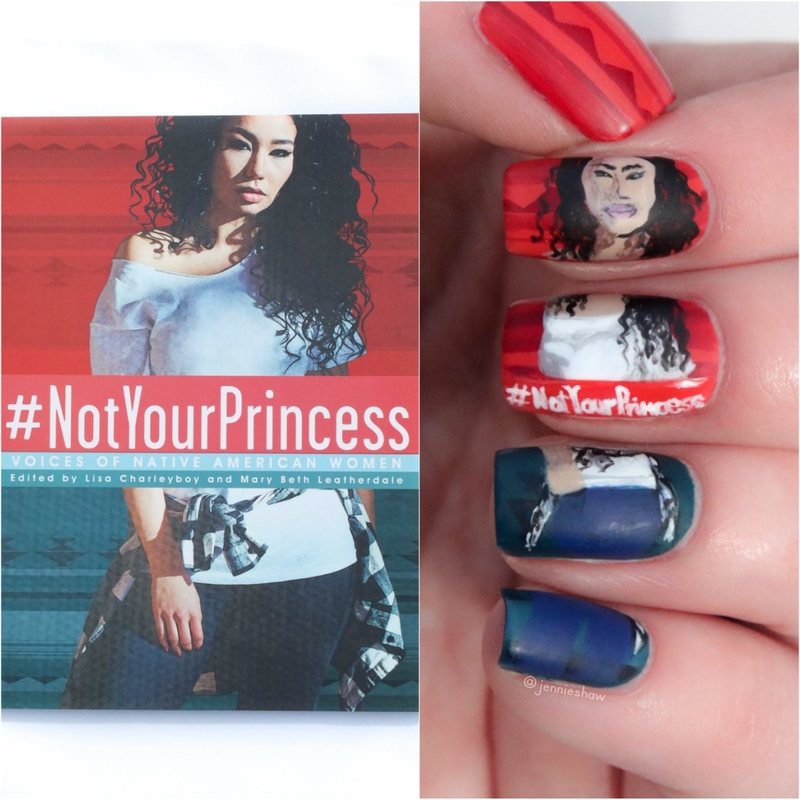 So after you've ditched your terrible costume in favour of something amazing, or if you've already chosen a hate-free ensemble, head on over to your bookstore of choice and pick up #NotYourPrincess. I promise that you'll be moved and inspired. Big thanks to Annick Press for sending me a review copy!